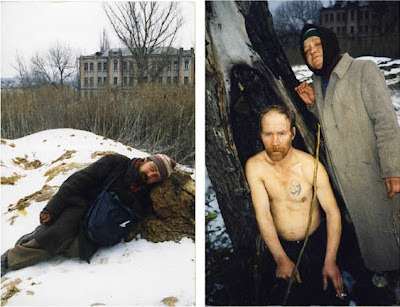 1000 Words is greatly honoured to announce our next workshop with the Ukrainian artist/photographer Boris Mikhailov in Fez, Morocco (5-9 November 2012). This is a very rare occasion to learn from one of the most highly-regarded contemporary photographers from the field of art and documentary. Born in 1938, Boris Mikhailov is one of the most important photographers to have emerged from the former USSR. 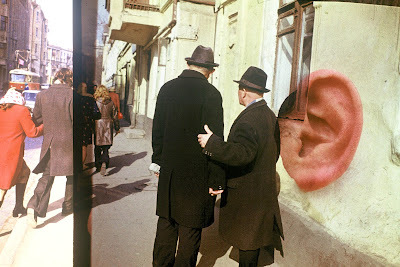 Starting photography in the 1960’s his work transgressed the moral and political dictates of the Soviet Regime. Although often engaged in the social disintegration affecting his country his work is subjectively rooted, dealing with the profound concerns of vulnerability and mortality. He has exhibited in numerous galleries and museums around the world notably the Tate Modern, Saatchi Gallery, MOMA, and The Photographers’ Gallery, London. His projects Case History, The Wedding, Unfinished Dissertation, Look at Me I Look at Water, have been published as books. Boris Mikhailov was the recipient of the prestigious Hasselblad Award in 2000 and the Citibank Photography Prize in 2001. The 1000 Words Workshop takes place in an authentically restored riad situated in the medieval medina, at the heart of the beautifully evocative city of Fez, Morocco. The workshop will be an intense experience lasting five days between 5-9 May 2012 and will consist of 12 participants. The medina is a vibrant labyrinth that will permeate all the senses. Surrounded by the Atlas Mountains, it offers a visually stunning backdrop for this truly unique workshop. We are looking for a diverse range of participants who understand the work of Boris Mikhailov and feel that their own art will benefit from his guidance. The organisation’s flagship is 1000 Words, an online magazine dedicated to contemporary photography in the UK and beyond. It reviews exhibitions and photobooks and publishes interviews, essays alongside carefully curated imagery, often around a particular theme. We are committed to showing the work of lesser-known but significant photographers alongside that of established practitioners in the aim of bringing their work to a wider audience. Often incredibly diverse in terms of subjects, concepts, styles and techniques, yet whilst always foregrounding the subjectivity of documentary art photography, 1000 Words intends to explore the limits and possibilities of the medium. Released quarterly, the magazine attracts over 140,000 unique visitors from more than 120 countries every month. In May 2010 the 1000 Words Blog was ranked at number 3 in The Top 25 UK Arts & Culture Blogs as part of a survey carried out by Creative Tourist and was also named as the winner of Arts Media Contacts’ Photography Blog of the Year Award, 2010. Yet 1000 Words is much more than just an online magazine. 1000 Words also operates a programme of exhibitions and events including workshops, artist talks, portfolio reviews, prizes and awards. “Antoine D’Agata workshop in Fez was a mind shaking experience, and for me that was just what I needed! Antoine’s repeated question to me was, "but what do you want?" What a simple question it may seem but to truly honestly answer this was one of the hardest things. Antoine struggled with me daily to be truthful to the process of shooting and to my work. Trying to do this as a white woman in a muslim foreign country seemed scary at first. But soon enough this fear pushed me to go farther than I had before. To take more risks and be more bold. In the end, I had allowed myself to befriend men and women who were at first just strangers on the street. My once beautiful but safely intimate portraiture became more real for me, evoking not only the fear of letting myself leap in a strange place but in the process of doing so, being able to see so much more in others. We require that you send 10 images as low res jpegs and/or a link to your website, as well as a short biography and statement about why you think it will be relevant for you to work with Boris (approx. 200 words total). Submissions are to be sent to workshops@1000wordsmag.com with the following subject header: SUBMISSION FOR 1000 WORDS WORKSHOP WITH BORIS MIKHAILOV.